Based on the experience from our six (so far) annual Nordic operator benchmarks and our five annual network sharing JV benchmarks, we are now starting a new benchmark: Europe’s best and most cost effective radio network. 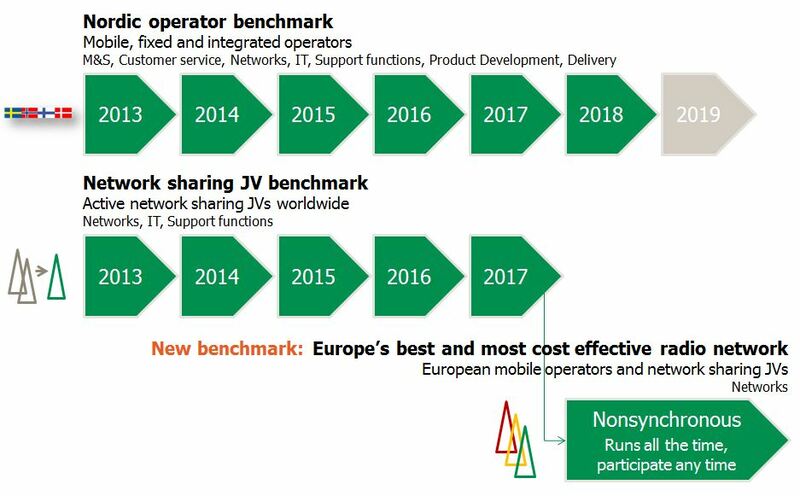 It replaces our annual network sharing JV benchmark and has the benefit that it reaches wider: Too all European mobile network owners (operators and sharing JVs) that aspire to commence the journey towards the best and most cost effective radio network. Another benefit is that it is nonsynchronous, i.e. it is open for participation any time and you can freely select the 12 month period you want to benchmark. Just like in our other benchmarks, your participation will be anonymous and your data kept confidential. Your input data will not be shared with anybody and not used for any other purposes than this benchmark. The benchmark results are just available to the participants. 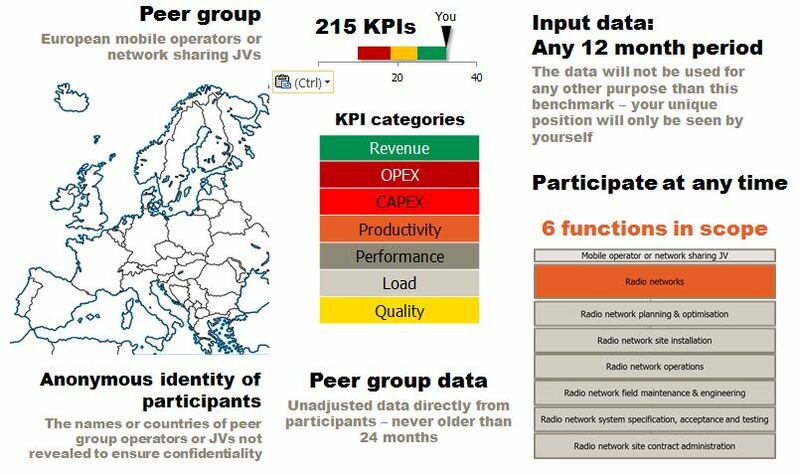 In total, there will be 215 KPIs covering six different radio network functions. 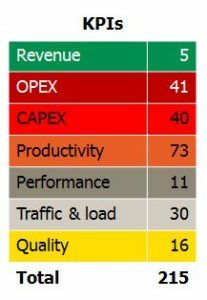 The table shows the distribution of revenue, OPEX, CAPEX, productivity, performance, traffic & load and quality KPIs. 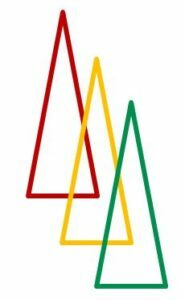 The benchmark is 100% fact based without modifications done to actual data – but with qualitative analysis added. There will be, at minimum, five participants in the peer group. We will remove operators/JVs not deemed comparable from your peer group if needed. No peer group data will be more than 24 months older than your input data. You can participate at any time you like and with input data from a 12 month period that you select yourself. We will turn around the benchmark within three weeks from your completion of the input data. We will interact with your people during the work. You will get a report of about 130 pages. On top of the report, the fixed participation fee includes an on-site result management presentation. And early birds get the worms: The first four participants in 2018 can participate in the benchmark with a discount of 45%.